Gallery: Multisensory Activities - The Passion of Christ MS Story. Latest School Events - Outing @ MFA. Gallery: Ms Carmen's Class - Outing @ Ġnien tal-Warda. Latest School Events - Award: Nirriċikla Għall-Istrina. Our Centre caters for students who experience Profound and Multiple Learning Difficulties through the use of different resources, which you can explore on this website. We have high expectations of our students and set challenging targets linked to their abilities. Our motto is “Amor Sapientiam Alit” “Nitgħallem bl-Imħabba” - learning with love. This is reflected in the sterling job done by the full-time staff at the Centre offering individualised educational and caring experiences. Students are also supported by other professionals from different fields for a more holistic approach. We thrive to provide a safe, calm and caring atmosphere while fostering a hardworking ethos based on enjoyment of both students and workers within a stable environment. For this scholastic year, students are classified in four classrooms based on their ability. Each class has a teacher and a group of Learning Support Educators supported by an ICT teacher and Services’ Teacher. 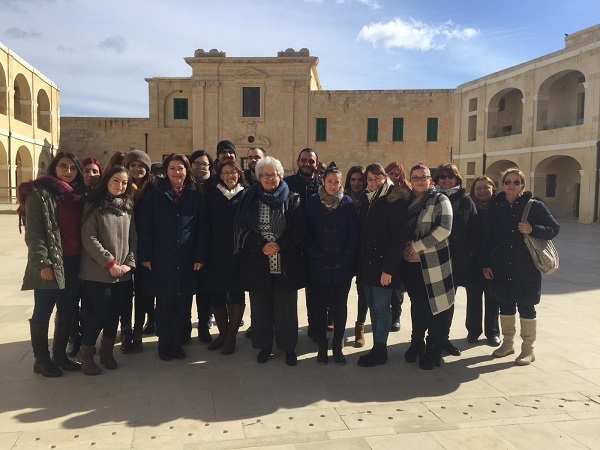 The Centre has very positive and beneficial links with the Qrendi Local Council, the Parish Church and also the community in general and are very proud of our reputation of a clean, warm and welcoming Centre. .
Students’ centred services offer an array of environments, which are adapted to our students. These services aim at strengthening the students’ abilities as well as support their full development. In the “our school” tab one can find more information about the resources the school offers. Moreover, in the “gallery” tab one can witness how the students are benefiting from these resources. At Helen Keller Resource Centre, we also value extra-curricular activities and in the events tab one can find our school calendar, past activities and the latest events. Thank you for taking time to visit and browse our Website. I hope you find the information provided useful and kindly do contact us if you have any queries or suggestions. This website is only a glimpse of what happens at our Centre. The best way for you to appreciate what we can offer your child is to experience our Centre first hand.